Jabiru is a town in the Northern Territory of Australia. Kick off your visit on the 24th (Thu): contemplate the long history of Nourlangie Rock and then make a trip to Ubirr. On the 25th (Fri), you'll have a packed day of sightseeing: explore the striking landscape at Nanguluwur Art Site, look for all kinds of wild species at Anbangbang Billabong, and then take in the dramatic natural features at Maguk Gorge. To find ratings, photos, reviews, and other tourist information, you can read our Jabiru (Kakadu National Park) trip itinerary planner . London, UK to Jabiru (Kakadu National Park) is an approximately 30-hour flight. Due to the time zone difference, you'll lose 9 hours traveling from London to Jabiru (Kakadu National Park). Wrap up your sightseeing on the 25th (Fri) early enough to travel to Uluru-Kata Tjuta National Park. Start off your visit on the 26th (Sat): look for all kinds of wild species at Kuniya Walk, then contemplate the waterfront views at Mutitjulu Waterhole, then make a trip to Uluru, and finally stroll through Uluru Hiking Path. Here are some ideas for day two: appreciate the views at Valley of the Winds, take in the dramatic natural features at Kata Tjuta, and then get engrossed in the history at Uluru-Kata Tjuta Cultural Centre. To see photos, more things to do, where to stay, and tourist information, refer to the Uluru-Kata Tjuta National Park day trip planning site . Getting from Jabiru (Kakadu National Park) to Uluru-Kata Tjuta National Park by combination of bus and flight takes about 9.5 hours. Other options: drive; or do a combination of car and flight. In October, daytime highs in Uluru-Kata Tjuta National Park are 38°C, while nighttime lows are 18°C. Wrap up your sightseeing on the 27th (Sun) early enough to travel to Townsville. Kick off your visit on the 28th (Mon): step off the mainland to explore Museum of Tropical Queensland, then stroll through The Strand, and then take in the pleasant sights at Castle Hill. On the 29th (Tue), you'll have a packed day of sightseeing: explore the landscape on two wheels at Douglas Mountain Bike Reserve and then identify plant and animal life at Billabong Sanctuary. To find traveler tips, where to stay, ratings, and other tourist information, go to the Townsville journey planner. You can fly from Uluru-Kata Tjuta National Park to Townsville in 8 hours. Alternatively, you can drive. Expect slightly colder weather when traveling from Uluru-Kata Tjuta National Park in October: highs in Townsville hover around 34°C, while lows dip to 23°C. Finish up your sightseeing early on the 29th (Tue) so you can catch the ferry to Magnetic Island. Kick off your visit on the 30th (Wed): look for all kinds of wild species at Nelly Bay to Arcadia Trail and then step off the mainland to explore Magnetic Island Forts Walk. Here are some ideas for day two: enjoy the sand and surf at Geoffrey Bay, get a new perspective on things with Boat Tours & Water Sports, and then look for gifts at Magnetic Island Museum. For more things to do, photos, where to stay, and other tourist information, go to the Magnetic Island trip itinerary tool . Magnetic Island is just a short distance from Townsville. In October, daytime highs in Magnetic Island are 34°C, while nighttime lows are 23°C. Wrap up your sightseeing on the 31st (Thu) to allow time to travel to Cairns. Start off your visit on the 1st (Fri): surround yourself with nature on a nature and wildlife tour. 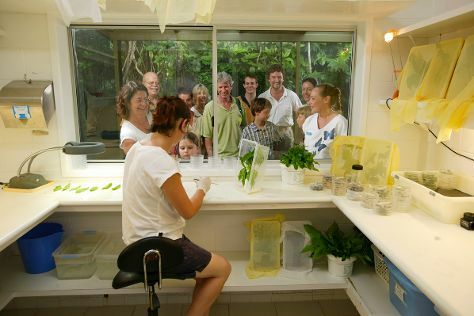 Get ready for a full day of sightseeing on the next day: identify plant and animal life at Australian Butterfly Sanctuary, kick back and relax at Trinity Beach, and then enjoy the sand and surf at Palm Cove Beach. Before you visit Cairns, use our trip planner to discover what you can do and see there. Traveling by combination of ferry and flight from Magnetic Island to Cairns takes 4.5 hours. Alternatively, you can do a combination of ferry and car; or do a combination of ferry and bus. In October, daytime highs in Cairns are 34°C, while nighttime lows are 24°C. Wrap up your sightseeing on the 2nd (Sat) to allow time to drive to Port Douglas. On the 3rd (Sun), see some colorful creatures with a scuba or snorkeling tour. On the 4th (Mon), you'll have a packed day of sightseeing: see exotic creatures in open habitats at a safari tour. For reviews, ratings, and other tourist information, use the Port Douglas trip itinerary website . Traveling by car from Cairns to Port Douglas takes 1.5 hours. Alternatively, you can take a bus; or take a shuttle. In November, plan for daily highs up to 36°C, and evening lows to 26°C. Wrap up your sightseeing on the 4th (Mon) to allow time to travel to Cooktown. Cooktown is a small town and locality in the Shire of Cook, Queensland, Australia. On the 5th (Tue), take an in-depth tour of James Cook Museum, stroll the grounds of Cooktown War Memorial, then contemplate the long history of Cooktown History Centre, then take some stellar pictures from Grassy Hill, and finally kick back and relax at Finch Bay. Get ready for a full day of sightseeing on the 6th (Wed): get a new perspective on things with Boat Tours & Water Sports, look for all kinds of wild species at Great Northern Tours, and then explore the striking landscape of Black Mountain National Park. To see more things to do, other places to visit, photos, and tourist information, go to the Cooktown trip planning tool . Traveling by car from Port Douglas to Cooktown takes 3.5 hours. Cap off your sightseeing on the 6th (Wed) early enough to travel to Fraser Island. Kick off your visit on the 7th (Thu): kick back and relax at Seventy-Five Mile Beach and then delve into the lush surroundings at Central Station Rainforest. Keep things going the next day: explore the activities along Lake McKenzie and then stroll through Eli Creek. To see ratings, more things to do, maps, and other tourist information, read our Fraser Island road trip tool . Use the Route module to find suitable travel options from Cooktown to Fraser Island. In November, daily temperatures in Fraser Island can reach 33°C, while at night they dip to 21°C. Wrap up your sightseeing on the 8th (Fri) early enough to travel to Noosa. Kick off your visit on the 9th (Sat): explore the striking landscape of Noosa National Park. Get ready for a full day of sightseeing on the 10th (Sun): kick back and relax at Mooloolaba Beach, then relax and rejuvenate at some of the top local wellness centers, and then enjoy the sand and surf at Noosa Main Beach. To find more things to do, maps, where to stay, and more tourist information, read our Noosa trip planner . Traveling by combination of car and ferry from Fraser Island to Noosa takes 7 hours. Alternatively, you can do a combination of car, ferry, and train; or do a combination of car, ferry, and bus. Finish your sightseeing early on the 10th (Sun) to allow enough time to drive to Brisbane. Kick off your visit on the 11th (Mon): identify plant and animal life at Lone Pine Koala Sanctuary, then admire all the interesting features of Suncorp Stadium, and then admire the natural beauty at Roma Street Parkland. For maps, other places to visit, where to stay, and other tourist information, refer to the Brisbane travel route planner . Drive from Noosa to Brisbane in 2 hours. Alternatively, you can take a train; or take a bus. Expect a daytime high around 31°C in November, and nighttime lows around 21°C. 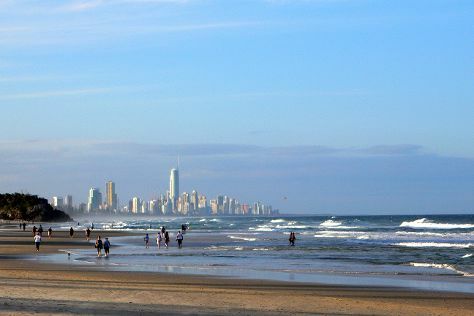 Cap off your sightseeing on the 11th (Mon) early enough to go by car to Gold Coast. On the 12th (Tue), admire nature's wide array of creatures at Currumbin Wildlife Sanctuary, then enjoy the sand and surf at Burleigh Heads Beach, and then play a few rounds at Surfers Paradise Golf Club. On the next day, stroll through Burleigh Head National Park, enjoy the sand and surf at Coolangatta Beach, and then stroll through Kirra Beach. To see more things to do, traveler tips, photos, and tourist information, refer to the Gold Coast travel planner. Drive from Brisbane to Gold Coast in an hour. Alternatively, you can take a bus; or take a train. In November in Gold Coast, expect temperatures between 30°C during the day and 20°C at night. Finish your sightseeing early on the 13th (Wed) to allow enough time to take a bus to Byron Bay. Kick off your visit on the 14th (Thu): find your balance on the water with some of the best stand-up paddleboarding in the area, then stroll through Broken Head Beach, and then trek along Cape Byron Walking Track. Here are some ideas for day two: paddle through the water with a kayaking and canoeing tour, enjoy the sand and surf at Lennox Head Beach, and then take in the architecture and atmosphere at Bexhill Open Air Cathedral. To find where to stay, reviews, and more tourist information, use the Byron Bay driving holiday planner . Getting from Gold Coast to Byron Bay by bus takes about an hour. Other options: drive. In November in Byron Bay, expect temperatures between 32°C during the day and 18°C at night. Finish your sightseeing early on the 15th (Fri) to allow enough time to travel to Sydney. 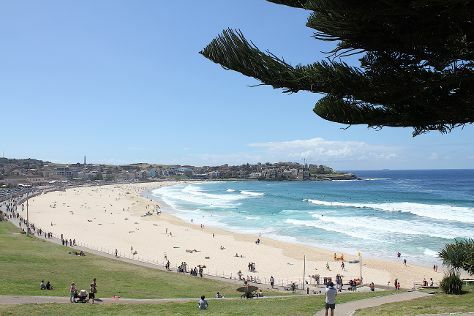 Start off your visit on the 16th (Sat): enjoy the sand and surf at Bondi Beach, then hike along The Opera House to the Botanic Gardens Walk, then see a show at Sydney Opera House, and finally get to know the fascinating history of The Rocks. Get ready for a full day of sightseeing on the next day: enjoy the sand and surf at Manly Beach and then wander the streets of Darling Harbour. To find other places to visit, ratings, traveler tips, and more tourist information, read Sydney trip planner . Traveling by combination of bus and flight from Byron Bay to Sydney takes 4.5 hours. Alternatively, you can drive; or do a combination of bus and train. Expect little chillier weather when traveling from Byron Bay in November: highs in Sydney hover around 29°C, while lows dip to 19°C. Cap off your sightseeing on the 17th (Sun) early enough to travel to Blackheath. Kick off your visit on the 18th (Mon): delve into the lush surroundings at Coachwood Glen Nature Trail, then take your sightseeing to a higher altitude at Blue Mountains, then trek along Cathedral of Ferns Walk, and finally take in breathtaking views at Pulpit Rock Lookout. Get ready for a full day of sightseeing on the 19th (Tue): tour the pleasant surroundings at The National Pass, take in the dramatic scenery at Wentworth Falls, and then deepen your appreciation for local ecosystems through Eco Tours. For other places to visit, photos, traveler tips, and other tourist information, read Blackheath day trip planning app . You can drive from Sydney to Blackheath in 2 hours. In November, plan for daily highs up to 32°C, and evening lows to 17°C. Wrap up your sightseeing on the 19th (Tue) to allow time to travel to Melbourne. On the 20th (Wed), examine the collection at Melbourne Museum, then enjoy breathtaking views from Eureka Skydeck 88, then brush up on your military savvy at Shrine of Remembrance, and finally kick back and relax at St. Kilda Beach. Get ready for a full day of sightseeing on the 21st (Thu): steep yourself in history at Old Melbourne Gaol and then soar above the sights with a balloon tour. To see maps, ratings, other places to visit, and tourist information, read our Melbourne trip maker site . Use the Route module to find suitable travel options from Blackheath to Melbourne. Traveling from Blackheath in November, expect Melbourne to be little chillier, temps between 26°C and 11°C. 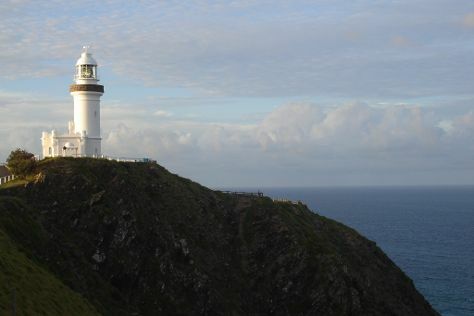 Finish your sightseeing early on the 21st (Thu) to allow enough time to drive to Apollo Bay. Apollo Bay is a coastal town in southwestern Victoria, Australia. Kick off your visit on the 22nd (Fri): stroll through Great Ocean Walk, then explore and take pictures at Karmic Goat Soapworks, then take some stellar pictures from Mariners Lookout, and finally stroll through Mait's Rest. To find more things to do, ratings, other places to visit, and tourist information, read Apollo Bay journey website . Drive from Melbourne to Apollo Bay in 3 hours. Alternatively, you can do a combination of train and bus; or take a bus. Cap off your sightseeing on the 22nd (Fri) early enough to go by car to Port Campbell. Port Campbell is a coastal town in Victoria, Australia. Start off your visit on the 23rd (Sat): explore the striking landscape of Port Campbell National Park. 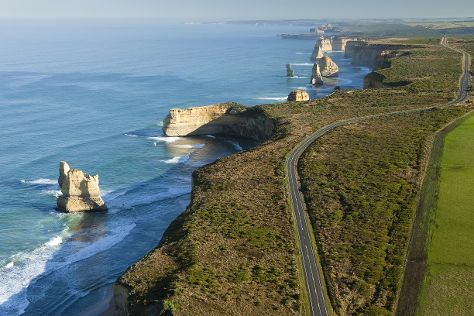 On the 24th (Sun), you'll have a packed day of sightseeing: identify plant and animal life at Gibsons Steps, then admire all the interesting features of Loch Ard Gorge, then take in the dramatic natural features at London Bridge, and finally explore the striking landscape at The Twelve Apostles. To see traveler tips, where to stay, more things to do, and more tourist information, use the Port Campbell trip planner . You can drive from Apollo Bay to Port Campbell in 2 hours. Alternatively, you can take a bus. Finish your sightseeing early on the 24th (Sun) so you can drive to Adelaide. 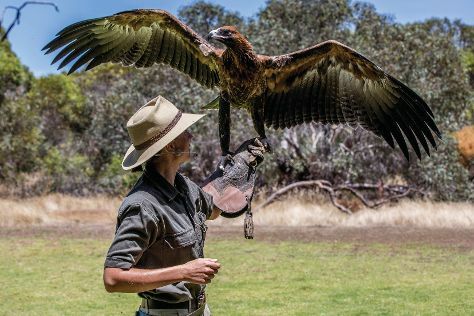 On the 25th (Mon), look for all kinds of wild species at Cleland Wildlife Park, learn about winemaking at Ashton Hills Vineyard, then see where the action happens at Adelaide Oval, and finally take in the spiritual surroundings of ISKCON Adelaide. Here are some ideas for day two: learn about winemaking at McLaren Vale III Associates, learn about winemaking at Graham Stevens Wines, then do a tasting at Shottesbrooke Vineyards, and finally hunt for treasures at Adelaide Central Market. To find maps, traveler tips, ratings, and more tourist information, use the Adelaide online tour planner . Traveling by car from Port Campbell to Adelaide takes 8 hours. Alternatively, you can do a combination of bus and flight; or take a bus. Expect a daytime high around 28°C in November, and nighttime lows around 15°C. 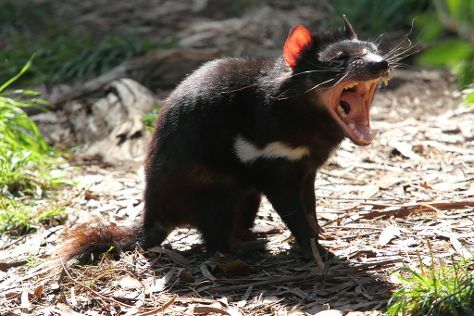 Cap off your sightseeing on the 26th (Tue) early enough to travel to Kangaroo Island. On the 27th (Wed), identify plant and animal life at Raptor Domain and then look for all kinds of wild species at Seal Bay Conservation Park. 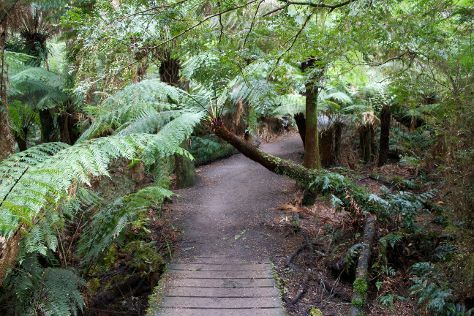 Get ready for a full day of sightseeing on the next day: identify plant and animal life at Flinders Chase National Park. For reviews, traveler tips, where to stay, and other tourist information, go to the Kangaroo Island route maker app . You can fly from Adelaide to Kangaroo Island in 2.5 hours. Other options are to do a combination of car and ferry; or do a combination of bus, ferry, and taxi. Finish up your sightseeing early on the 28th (Thu) so you can travel back home.